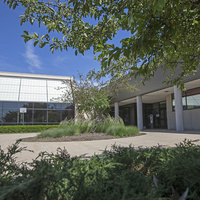 The Student Recreation Center offers a variety of facilities including: eight full-size multi-purpose courts, 10 racquetball courts, a 6,000-square-foot cardiovascular room, an indoor track, an activities room, five boxing stations with punching bags, two fitness studios with mirrors, saunas, a TV/snack lounge and outdoor gear rental. I was studying about MBBS in kazakhstan at http://mbbsadmissionabroad.in/mbbs-in-kazakhstan/ and came through this event, Great effort guys heard a lot about you. Having classes start at 4:00 leaves out a lot of operating staff who work until 4:30.